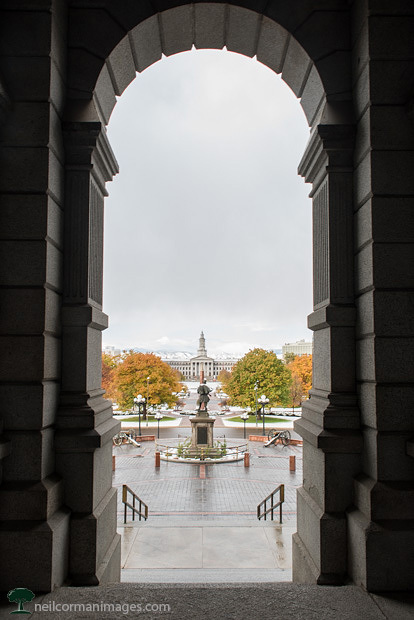 Just a couple of months ago during a brief snow in Denver I headed towards Civic Center Park to photograph. As the snow tapered off the foothills started to become visible in the distance. With the fresh snow on the grass and the fall color in the leaves I found myself on the capitol steps to capture this image west through Civic Center Park towards the City and County of Denver building.